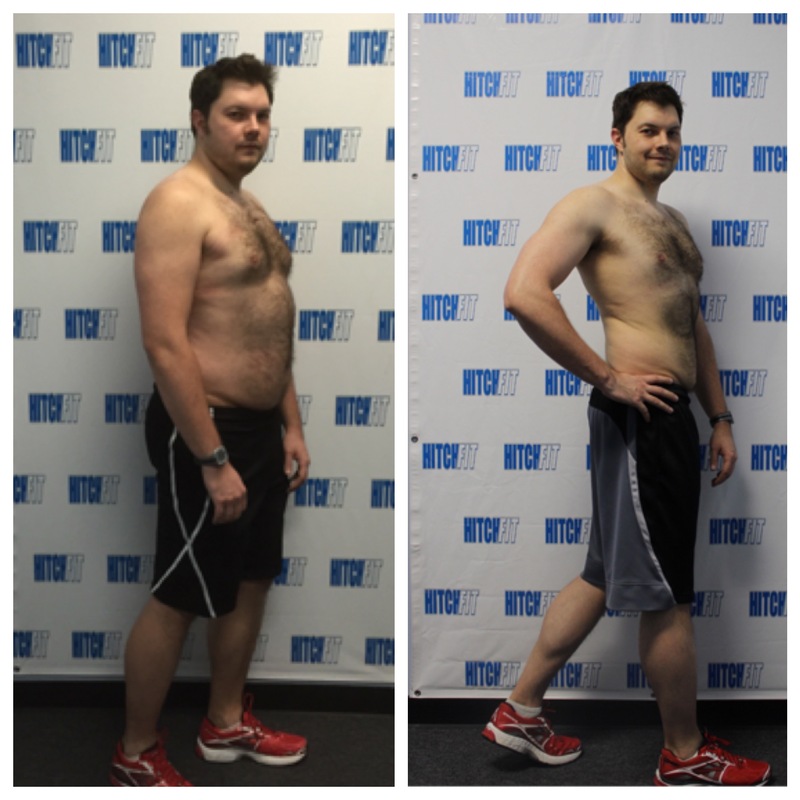 Weight Loss Plan from Hitch Fit Gym = 33 Lbs of Fat Lost! 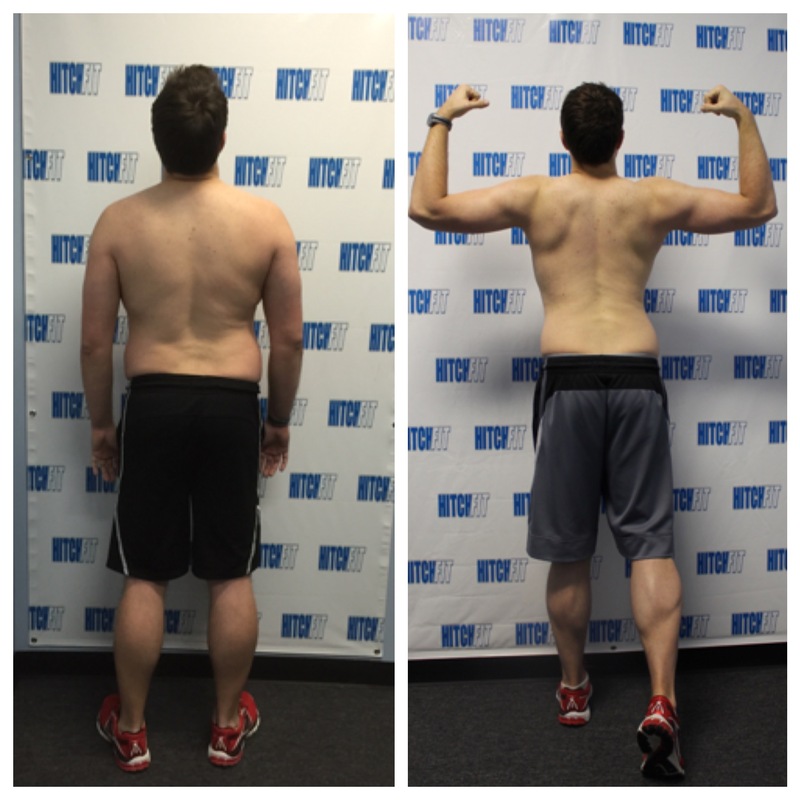 Home/Success Stories/Weight Loss Plan from Hitch Fit = 33 Pounds of Fat Lost! “Over the past four years I have been collecting my weight weekly. I found that I had a reoccurring pattern of losing weight and gaining it back. 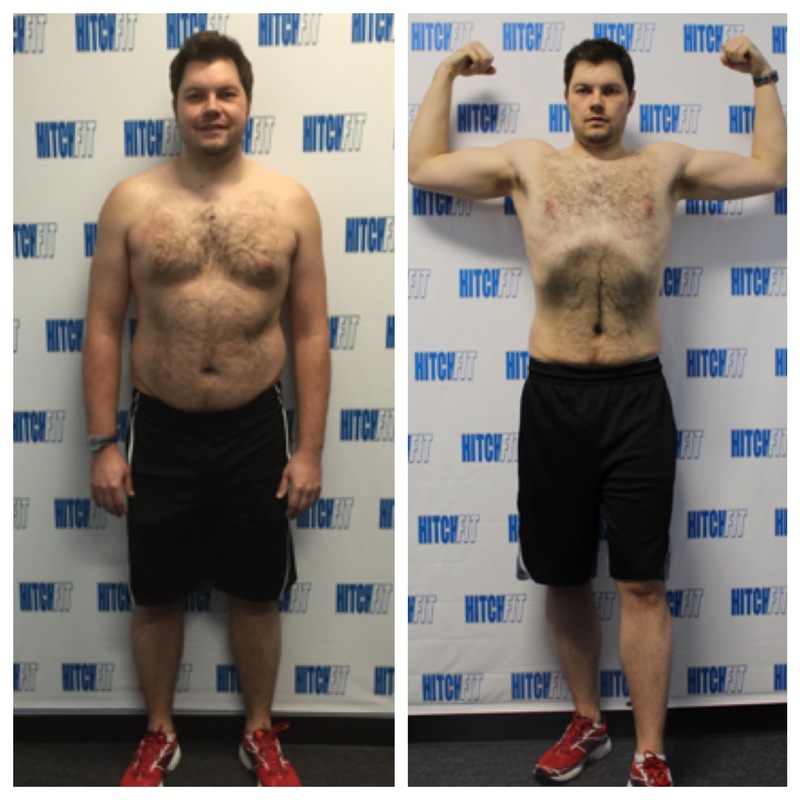 Before I came to HitchFit I was at the highest weight I have been in five years, and I was failing to find the motivation to diet and exercise that I have found in the past. None of the methods I used in the past were working. My knowledge of proper nutrition was so limited, I would burn myself out on eating the same thing constantly and fall back to unhealthy eating. I would tell myself that today was too stressful at work, and I just needed to rest my mind instead of putting in the effort to exercise. I knew that I didn’t have it in me to get back on track, and I was looking for an education to help me for a lifetime. I knew that creating an obligation with a trainer would force me to show up and do the work. The funny thing is that I can break promises to myself easily, but I can’t stand letting someone else down. I got in touch with Kurtis, and set up a couple discounted Groupon sessions to see what it would be like. I was impressed by the workouts, and his knowledge. Kurtis, like everyone I have known at Hitch Fit, is a caring, nice, and honest person who wants to see you succeed in life. 1. Meal Prep Is Critical: For me, if I am hungry, and there is not something quick for me to eat, I will find something quick to eat. If I have not prepped, something quick means something unhealthy. I found the freezer to be my friend. As a person living alone, cooking for one can be difficult. However, cooking meals that freeze and reheat well allows for great flexibility. Spending the time prepping filled my freezer with an assortment of dishes, and allowed for variety on a whim when hunger strikes. However, not all my meals were frozen. I prefer fresh dishes, but I required the freezer contingency to avoid bad habits. 2. The Heart Is Key: Before I trained at Hitch Fit, I always had the mentality that the harder I push myself, the better results I will get. It was a struggle to keep myself motivated going to the gym like that. From the start, Kurtis had me train with a heart rate monitor, and taught me how important the heart rate is during exercise. The knowledge gained here has really changed how I approach exercise. 3. Be aware of what you eat to the best of your ability: Knowing what you are truly eating is difficult. Food is a very complex, and how it reacts in the human body is equally complex. However, luckily, a lot can be accomplished with only two main sets of data for food, the calories and the macronutrients. This information is available for all food that we eat, and is the most important information about food in order to lose weight. Using the MyFitnesspal over the past few months has really opened my eyes into what I am putting into my body. It has helped me see some of the basic data about what I eat. However, food is more than calories and carbs/proteins/fats, and gaining the knowledge of what food is really made of and how it is metabolized in the human body takes time and research. I just try to gain that additional knowledge as time goes on. 4. Get in tune with yourself: I often found myself making excuses after a day of work of reasons why it would be better for me to just relax at home instead of exercise in the gym. Or, I would find myself distracted with some form of entertainment or project I was working on and next thing I know, it is time for bed. For me, to reduce distractions and excuses, I found that working out first thing in the morning was the best fit. Over the years of struggling with my weight, I feel the largest battle with getting in shape is the mental battle. Exercising and eating healthy is easy when one is in the mood to do it. Discovering what makes one see those as easy and fulling tasks instead of looking at them with disdain is the real challenge.